The lightweight Britax Holiday Pushchair gets a wow every time! Why should I choose the Britax Holiday Pushchair ? The Britax Holiday Pushchair is incredible. The fold alone is mesmerising and the price is a show stopper. It'll suit your needs perfectly if you need something light, compact and appreciate no fuss. It'll be a complete envy when you pop it out of the car, flip it open and off you go whilst they're attaching parts a, b and c together and reading the manual. The Britax Holiday has a carry strap for convenience and because it weighs 5kg it really can be taken anywhere. The size of the fold is incredible and Britax have thought of making it free standing, keeping the fabrics off the ground to keep them a little cleaner. The Holiday from Britax is a lightweight pushchair and comes in a selection of tasty colours. 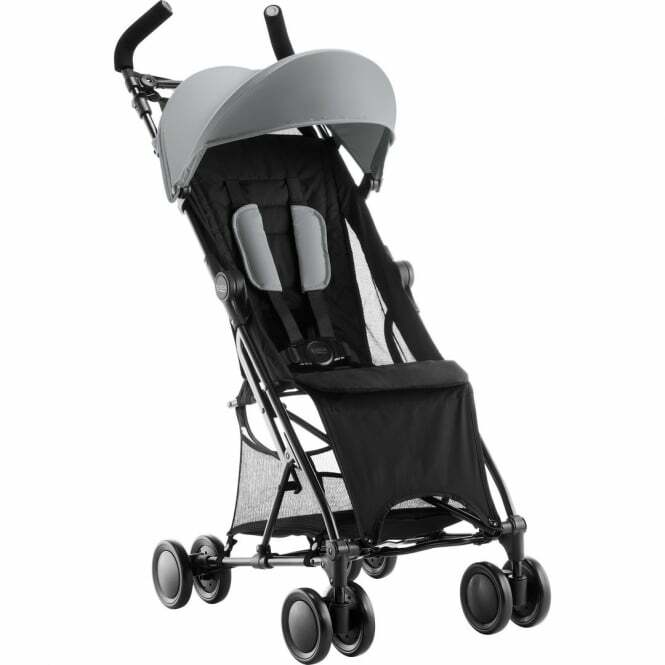 Britax guide it being suitable for your little one from around 6 months to 3 years, that's about 15kg in old money. The Holiday comes with travel in mind. Mesh panels allow for better circulation. The sun hood gives a little bit of protection to overhead sun. A padded harness, like you'd expect from leading manufacturer Britax ensures your child is secure. No need to worry about flat tyres, the wheels are solid coming with swivel or fixed on the fronts. Last but not least, a good storage basket and front wheel suspension. What are the specifications for the Britax Holiday Pushchair? Is there a review for the Britax Holiday Pushchair? Comfy handle and padded harness! Showing our 2 Britax Holiday Pushchair reviews with an average rating of Excellent. Would you like to write a review? Your Review - Perfect stroller for travelling. Very light weight and easy to fold. Perfect stroller for travelling on the underground.